slowly, but surely i am putting together my fall playlist. 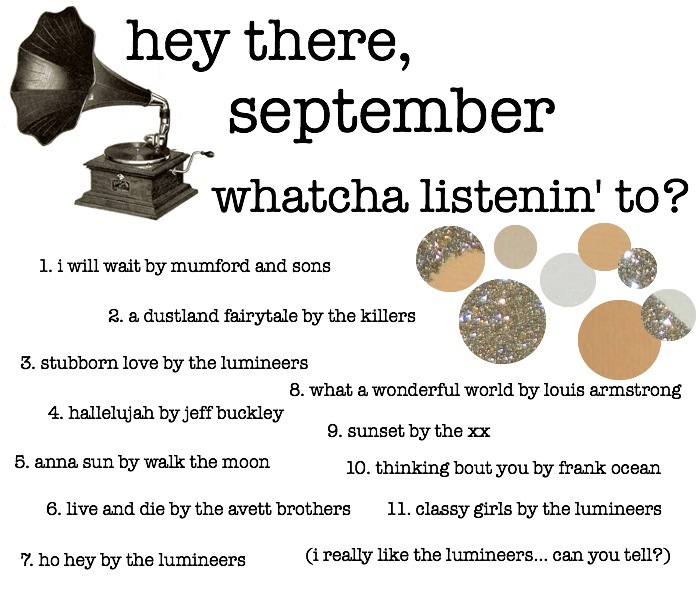 if you’re wondering why i need a fall playlist, don’t worry i ask myself that too.. (but, it’s necessary, trust me.) i can’t wait for d.c. to get colder, have its leaves start to change, and hopefully i can acquire the taste for starbucks pumpkin spice lattes (even though i can’t stand the taste of coffee with a burning passion). maybe i can just take the espresso out, add chai, and pretend it’s the real thing? ramblings aside, enjoy the playlist above until my next post!